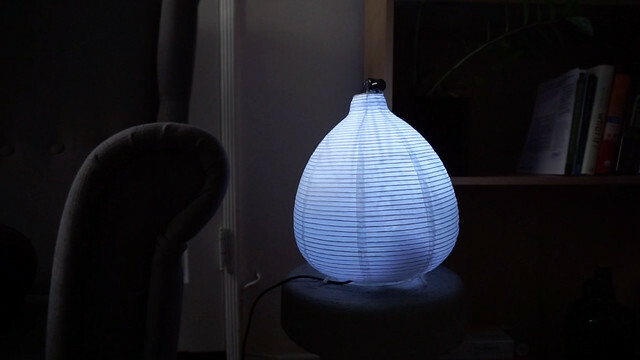 The Moonlighting Lamp is a glorified nightlight that changes brightness based on proximity. Most nightlights use a motion sensor to detect someone's presence and abruptly turn on. 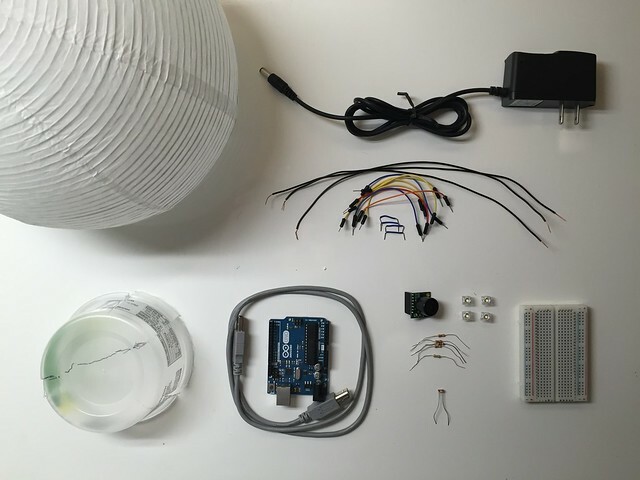 The Moonlighting Lamp uses a proximity sensor to detect someone's presence and calmly illuminates as they approach. 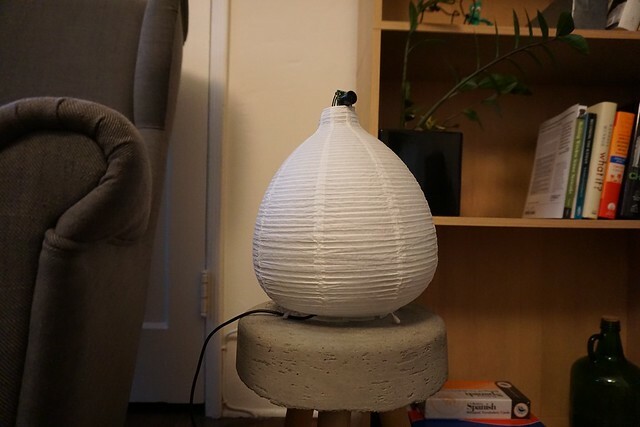 If you're like me and can't stand those abrupt nightlights, this lamp is for you. Ultrasonic Rangefinder - LV-EZ0 from Adafruit. Other distance sensors will work but I picked this one for its long range and wide beam width. Begin by preparing the LV-EZ0. Solder a 7-pin female header through the holes. 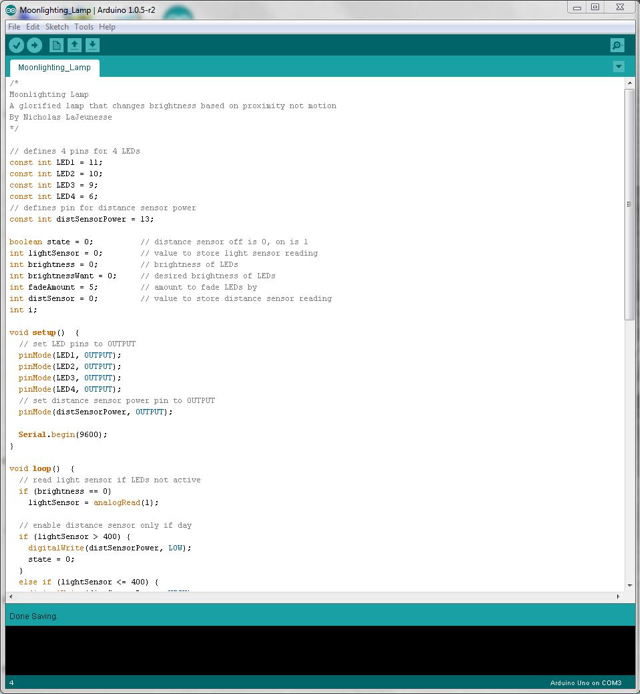 We'll only be using 3 of these pins: GND, +5, AN. 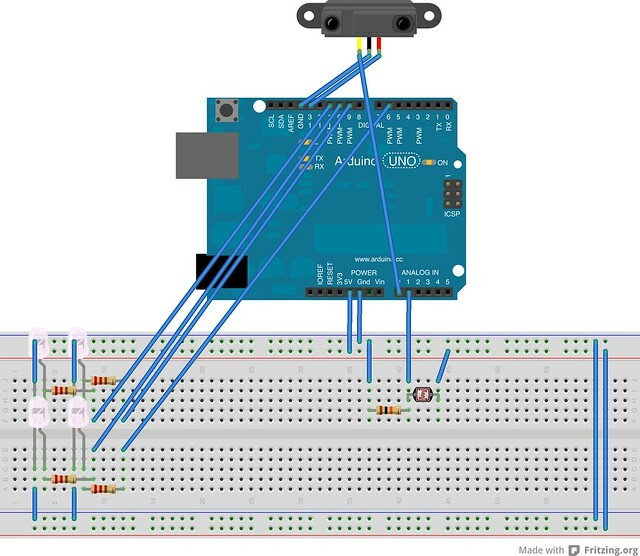 Populate the breadboard according to the below pictorial diagram and schematic. I used a breadboard and jumper wires as opposed to soldering the components to a through hole board because of the circuit's simplicity. 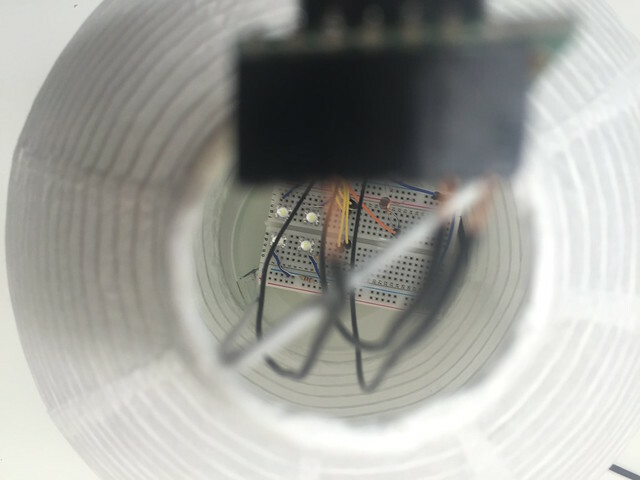 When wiring the LV-EZ0, use long enough wires so that the sensor can poke out the top of the lamp shade. 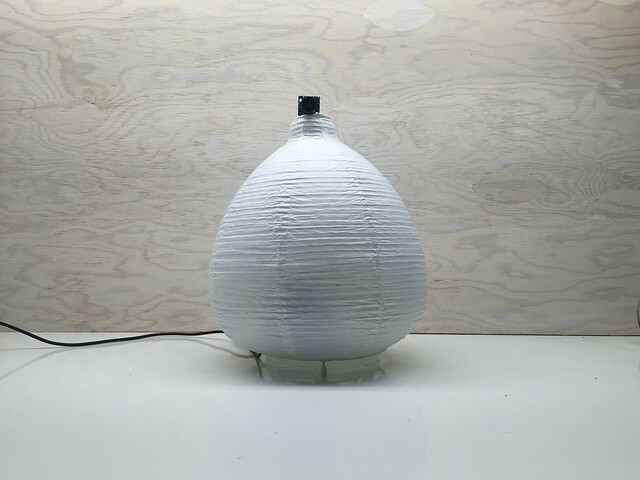 Carefully stuff your lamp shade with the assembled circuit. Be sure to thread the distance sensor through the opening at the top. 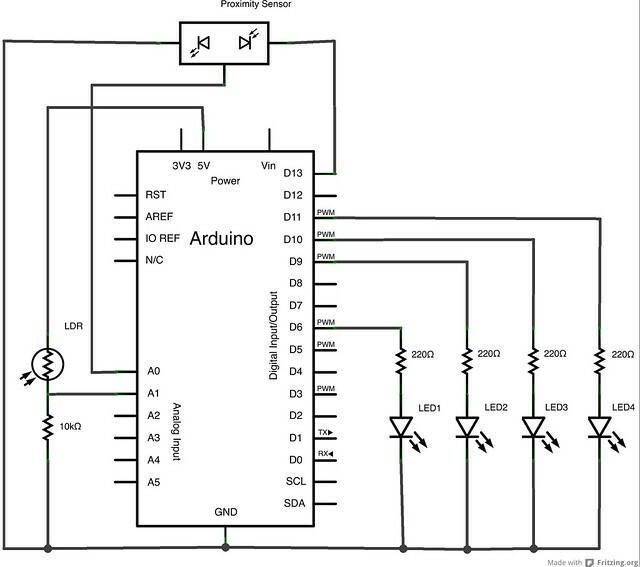 Connect your Arduino to its power source. Lastly, insert your recycled plastic container mount to rest the circuit on and center the LEDs. 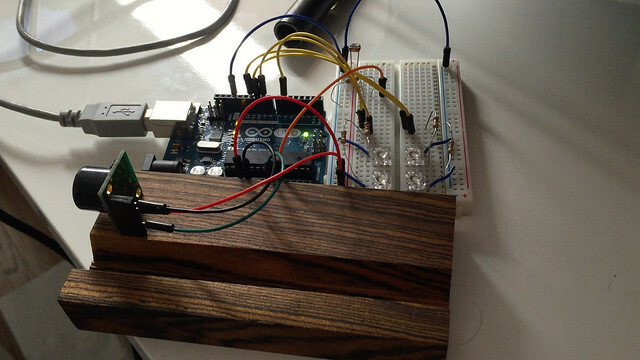 Plug the Arduino in and enjoy...at night.